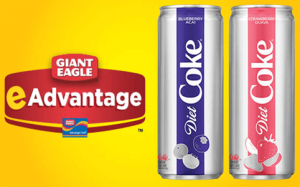 Free Diet Coke 12 oz Slim Can at Giant Eagle! Are you a fan of Diet Coke? This is a great deal to load the coupon to your card and get a free Diet Coke slim can at your local Giant Eagle!